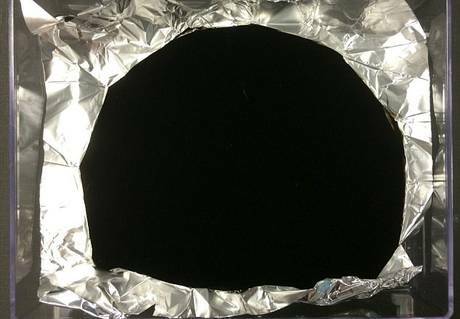 A British company has produced a “strange, alien” material so black that it absorbs all but 0.035 per cent of visual light, setting a new world record. To stare at the “super black” coating made of carbon nanotubes – each 10,000 times thinner than a human hair – is an odd experience. It is so dark that the human eye cannot understand what it is seeing. Shapes and contours are lost, leaving nothing but an apparent abyss. If it was used to make one of Chanel’s little black dresses, the wearer’s head and limbs might appear to float incorporeally around a dress-shaped hole. Actual applications are more serious, enabling astronomical cameras, telescopes and infrared scanning systems to function more effectively. Then there are the military uses that the material’s maker, Surrey NanoSystems, is not allowed to discuss. 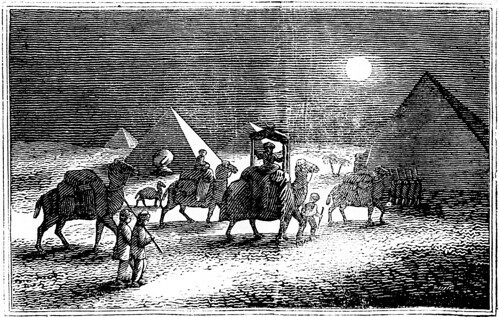 As we reach for our torches, we might recall that it was on this date in 622 that the Islamic prophet Muhammad, who’d been warned of a pending assassination attempt, and his followers began their migration from Mecca to Medina– an event known as “Hijra” (Arabic: هِجْرَة‎ hijrah, or Hijrat or Hegira). The Hijra was later declared the beginning of the Muslim calendar, so that any subsequent date is known. a la “AD” or “CE,” as “AH” (Anno Hijra).